Read an English or a German translation of one of the book’s short stories. Until the early 1990s, before the onset of global tourism, travellers arriving on the Cycladic island of Amorgos were either looking for a holiday away from the tourist trail or seeking a simpler, alternative way of life. Some foreigners, like little Hans’ mother, had married a Greek and decided to follow him to his homeland. Others, such as the glamorous Greek-American singer Cassandra, were simply passing by the island, just another stop on a luxury cruise. A police inspector from the mainland looking for terrorists, a British aristocrat on a sleek yacht, a young local woman who died of a broken heart and whose memory islanders ridiculed at their peril, a distraught Frenchman looking desperately for his missing wife. 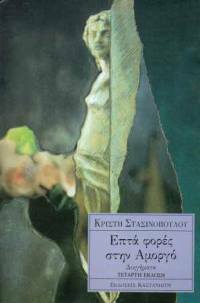 All the characters in these seven short mystery stories by Kristi Stassinopoulou, set on Amorgos and inspired by her own sojourns on this island in the heart of the Aegean Sea, are touched in some way by the forces of nature emanating from its rocks and ravines, the winds that buffet its precipitous cliffs, and legends of sprites, mermaids and pirate galleons. Above all, they tell of a time just before quad bikes, jet skis, cable TV, wifi and high-speed ferries brought the wider world into the Cyclades, almost, but not quite, changing them forever. 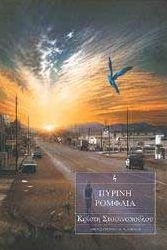 A novel of magic, set in Athens in the early 90s.